The grit size indicates the abrasive grade on the abrasive side of the paper. A higher grit number indicates a smaller abrasive grain and a finer abrasive product. A “P” in front of the grit size indicates that the product is graded in accordance with the European FEPA standard (www.fepa-abrasives.org). The terms coarse, medium and fine are often used in conjunction with grit size of abrasive grains. What grits sizes are located within the individual terms? 12,16,20 super coarse For extra deep and coarse cutting, e.g. floor sanding. 24,30,36 extra coarse For coarse cutting. 40,50,60 coarse For cutting and sanding uneven surfaces. 80,100 medium For sanding marks and uneveness. 120,150,180 fine For fine-sanding, and use between and after final surface treatment. 220,240,280,320 extra fine For final sanding where there is a particular requirement for a smooth surface. 400,500,600 super fine For final sanding where there is a particular requirement for an extra smooth surface. 800, 1200 and finer ultra fine For final sanding where there is a particular requirement for and extremely smooth surface. Grit sizes above 240 are defined as extra fine and used mostly on special hard, fine surfaces that require special considerations taken to the surface. Hard woods are harder to grind than soft. Go up a grit size to avoid scratches you would have to spend extra time to sand away again. Look for products with a P in front of the grit size. These have a uniform size of grains in its scale related to the FEPA P strandard. This ensures a smooth sanding. Choose quality products - so you avoid irregularities in the paper that can damage the substrate. How closely a product is coated - i.e. how many sand grains there are per m2 varies. Typically 50 to 75% of the surface is covered with grain. 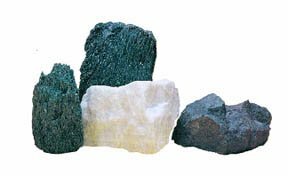 The coarse grit sizes are usually scattered more open than the finer. A densely littered product immediately gives a good performance at startup. A more open coat can give a better effect over time. This is because dust tends to adhere to the surface and this happens a lot faster with products that have a dense coat.